If you want a beautiful, four season, low-maintenance garden, that allows you to save water, reduce air pollution and provide habitat for birds and butterflies, then you need to consider introducing Natives into your garden. Native plants are, in a word, local. They are plants that have been growing in a particular habitat and region, typically for thousands of years or longer. Also called indigenous, they are well adapted to the climate, light, and soil conditions that characterize our ecosystem. Moreover, these plant have evolved with the birds, butterflies, hummingbirds and pollinators in the local ecosystem and consequently, are uniquely able to provide the habitat and food that they require – and they can do this all in your own backyard or private garden. 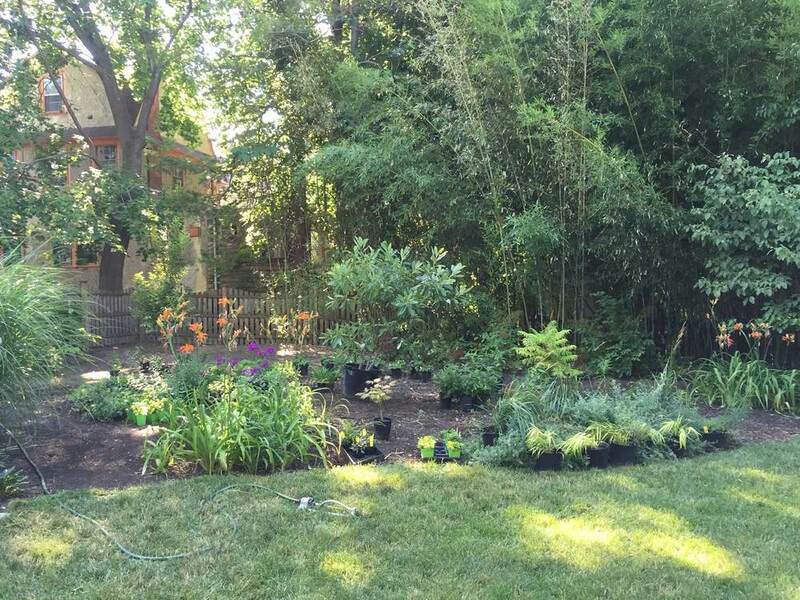 When native gardens are well sited and established, they do not require watering, fertilizers or pesticides. And, they provide four seasons of pleasure, with flowers and fragrance in the spring, berries and flowers in the summer, brilliant leaf and bark and berry colors in the fall, and beautiful bark and structural patterns in the winter. Bottom line, Natives offer great beauty and local sustainability that nurtures the planet and its people. When is Fall the Best Time to Plant your Perennial Garden? Very Often! Fall is often the very best time to plant your garden. Here are some tips for successful Fall planting. I attended the 2016 City Harvest annual kickoff meeting. I have been privileged to have been part of this organization for over 10 years. Ready to enjoy your own city garden utopia?